According to the older generation of corset enthusiasts, the modern hourglass has a rounded ribcage and rounded hips. The extreme hourglass silhouette can be effectively described as the “belted pillow” look. I should note that different schools of corsetry have different interpretations of silhouettes; for instance Romantasy calls this style the “wasp” while I had initially been taught that the wasp waist featured a more conical torso (a guide for conical corsets will be created later on). The extreme hourglass silhouette is less popular than it used to be, but I still personally find it to be very comfortable. The waist nips in very suddenly and dramatically, while the ribcage remains relatively rounded and free to expand with each breath. I can achieve quite extreme reductions using this silhouette, even if the wasp is aesthetically my favourite. If this is your desired silhouette, the following makers and purveyors will be able to assist you – and some even offer the extremely rare pipestem silhouette! 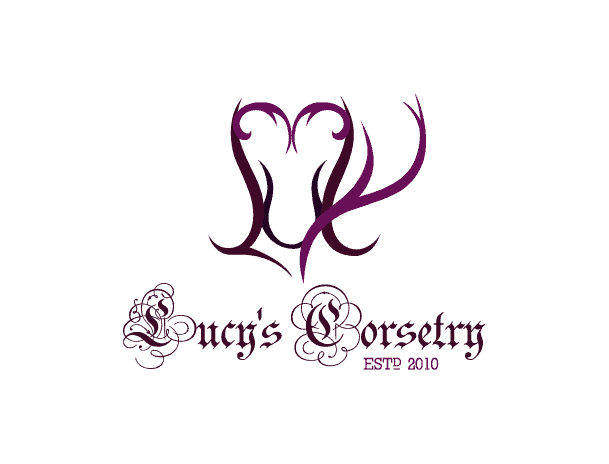 Corset makers: If you have made any extreme hourglass or pipestem corsets and you would like to be added to the gallery, you’re welcome to email me with your pictures here. Safe for Work photos are preferred! Thank you! Bethan, skilled corsetiere and owner of Orchid Corsetry, offers the Sloth training underbust which gently cups the ribcage and then dramatically dips inward at the waist. This corset is strong enough to be used in 23/7 waist training, and can be purchased on its own or in a waist training kit. Marianne, the proprietor of Pop Antique, has many years experience as both a corsetiere and a professional model. After learning that her own ribcage is very unmovable and that conical ribcages bruise her, she drafted all her own corsets to cup the ribs, which has become a bit of a trademark. By default, all Pop Antique designs feature a distinctive rounded ribcage and abruptly nipped waist. Sugarkitty Corsets is able to accommodate silhouettes and styles of all kinds, including this dramatic almost-pipestem rendition of the Abigail II underbust corset (starts at $377). Speaking from experience, it is very easy to take large breaths in this corset. Please note that Sugarkitty will only be accepting corset commissions up till the end of 2013. The Bad Button Bespoke Corsets makes hardy waist training corsets as well as couture designer pieces; Alisha the corsetiere will create the corset with as much or as little rib contouring as you need or desire. The above example shows a very rounded ribcage and dramatically nipped in waistline. Salonkiompelimo HiroNIA is a corset maker from Finland who is capable of creating a magical fit, no matter what your preference in silhouette. Some of their clients can achieve a 17″ waist in this silhouette – here is one of their creations is modelled by burlesque artist LouLou D’Vil, who easily wears this style corset while modelling/ performing. Delicate Facade Corsetry is an Australia-based business with 13 years experience. In the above photo, you can see an extremely curvy underbust tightlacing corset, which is designed to give an amazing 12-inch reduction from the client’s natural corseted waist. Puimond Progressive Corset Design believes in maintaining an anatomical shape around the ribcage, and for extreme reductions he is able to easily nip in the waist an extra couple of inches while leaving a beautiful softly rounded ribcage. The effect is not quite as dramatic as others, but you can see the soft convex curves around the ribcage here. He offers several styles of corsets starting at $330, which can be made suitable for daily waist training. My review of this corset can be seen here. Another maker of corsets with anatomically-shaped ribcages is Sparklewren. The corset above is modelled by Immodesty Blaize. I have owned 4 corsets from Sparklewren, and from personal experience I can say that my own overbust very easily and gently cups around my ribs, only compressing the last two or so for a subtle dip in the waist. The continuous steel boning adds to the structure. Romantasy offers a beautifully shaped underbust with a nipped-in waist (this is their definition of the wasp waist) placing most of the reduction at the waist and very little on the ribcage. All of their wasp corsets are made by the talented Sheri Jurnecka. 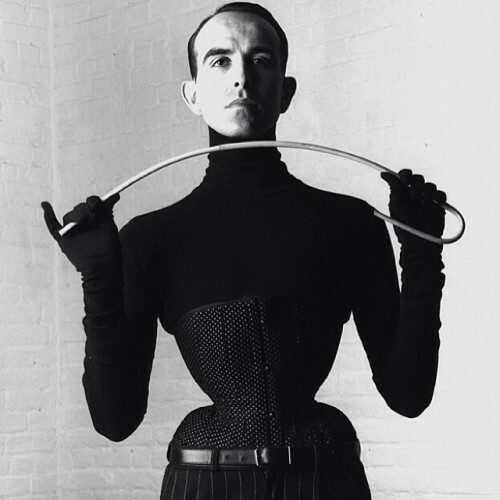 Mr. Pearl seems to be the Grandaddy of the modern extreme waist, having trained himself down to 18″ while keeping his ribcage relatively anatomical. Although it’s said that he does take corset commissions, legend has it that Mr. Pearl eschews the internet and communicates by written letter, and only takes in-person fittings. Mr. Pearl’s only well-known protégé, Gabriel Moginot, has launched his line Maison Moginot and offers the ready-to-wear Fierce corset for €580, with an option to upgrade to made-to-measure. His design puts little stress the ribcage, and offers a pipestem-like silhouette. C&S Constructions is the master of the extreme hourglass and the pipestem corset, keeping a long list of loyal customers over the decades. The photo above is not even the most extreme pipestem they have made for a client. C&S has made nearly all the corsets worn by the legendary Spook, who is said to have had a 14″ waist in diameter with a 2″ pipestem. Corsets and More from Germany is a hugely under-appreciated gem among corsetieres, who is capable of creating corsets with extreme reductions and fascinating pipestems, like the above piece in acid green dupioni. My own handmade curvy underbust for B.P. Finally, although I’m not currently taking commissions, here is an extreme hourglass creation of my own, made in March 2012 for a friend and client across the continent. Drafting for a rounded ribcage was more easy than I originally thought; but getting the roundness in the right panels so as not to create pressure points or gaping in the ribs was an interesting venture. I still use this corset pattern today, as B.P.’s measurements are already close to my own. You can see the sports mesh corset I made from this pattern here. Sadly, c&s constructions has gone out of business. The owner died of cancer some time ago. Its on the site. I ordered a corset (male; waist approx 24,5 inch) from Doris Müller (Corsets & More) few weeks ago. Visited her in her neat little village to have her take measures and talk about some details. This was not my first custom made corset but I must admit she really knows her profession! Her advice and recommendation regarding the details of my new corset where profound and very helping. She even offered to do a fitting before final delivery. All that for only slightly more than 300€ (ca. 400$ as of today). I am so much looking forward to wear it the first time! Janeen, are you looking specifically for an extreme hourglass/ pipestem corset at the moment? I would first recommend starting with a more gentle hourglass corset to see if you enjoy corseting, and then progress onto the more extreme silhouettes when your body is able to handle it. All of my galleries/ guides are located here, you can feel free to browse the different areas and choose which ones you like best. When choosing a custom corsetiere to work with, it’s important to do your research first, email those whose work you like and build a rapport and see which one shares your philosophies best. 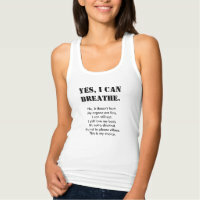 When spending hundreds of dollars and changing your body shape, there are no short and fast answers, unfortunately!